All Things Coastal – All Things Coastal – A Day At The Seaside And Much Much More! The Marloes Peninsular is a must see visit for wildlife, watching, heritage hunting, coastal walks and outdoor adventure. The landscape is truly amazing and incredibly diverse, craggy cliffs and coves make way for sandy bays and neighbouring islands, whilst further inland, coastal heath and thriving wetlands sit alongside agriculture. Plenty to see and do, a truly magical place. Porthgain is a village in the Pembrokshire Coast National Park in Wales and is located between St. Davids and Goodwick, just north of Llanrhian. Throughout the 19th Century Porthgain was known first for it’s slate then for brick making and finally for quarrying gravel. The harbour, breakwater and piers were built in 1851 and served by a horsedrawn tramway from Abereiddy’s slate quarry. The old buildings you can see on the cliff face are hoppers which were used to store the crushed gravel before shipment. A lovely walk around the quay at Solva, just made it before the tide turned! A fantastic array of boats in their different size and colours. I often wonder how many get used on a regular basis and how far they go. Solva grew as a port and by 1900 there were 30 ships registered here and 9 warehouses for cargo. Remains of lime kilns where imported limestone was burnt can be seen in the harbour. Ships sailing to America left from here and it was possible to book a passage direct to the USA in 1840 for a fare of £4.00. For over 200 years the small lighthouse has acted as a guide and hazard warning to ships. A lovely place to visit when you are in this part of the World. Life’s a beach, enjoy the waves………….. Explore one of Henry V111’s finest coastal fortresses…………..
Whilst in Cornwall another great day out is to visit Pendennis Castle, owned by the English Heritage and which is an artillery fort constructed by Henry V111 between 1540 and 1542 as part of a nationwide upgrade of coastal defences and was enlarged during the Elizabethian period. At the end of the Civil War it endured a siege by parliamentary forces and remained in use until the end of WW11. It protected against invasion from France and the Holy Roman Empire also defended the Carrick Roads waterway at the mouth of the River Fal. In the 21st century, the castle is managed by English Heritage as a tourist attraction, receiving 74,230 visitors and is protected under UK law as a grade 1 listed building. 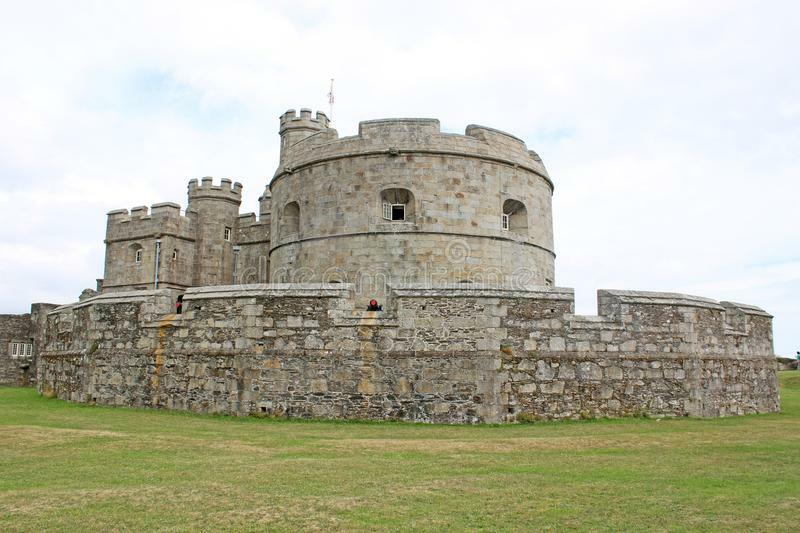 The heritage agency Historic England considers Pendennis to be one of the finest examples of a post-medieval defensive promontory fort in the country. The castle was built upon a peninsula jutting out into the Carrick Roads.